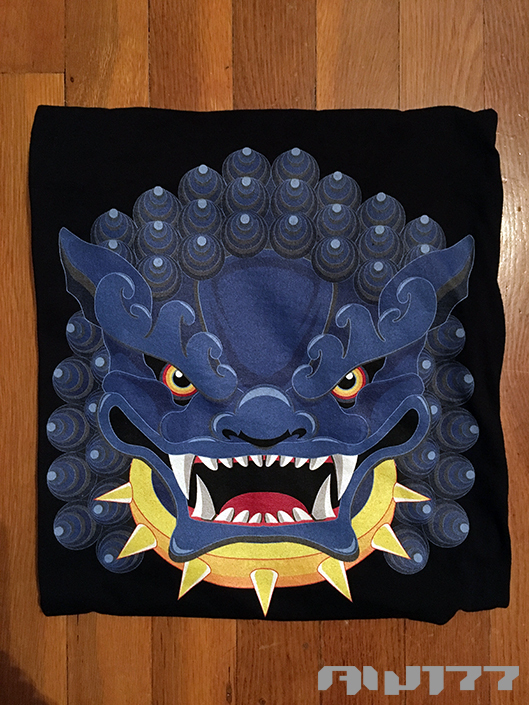 2018 is the year of the dog in the Chinese calendar, and Outsmart Originals is back and once again, collaborating with AW177 (Allen Wen) to bring out a brand new t-shirt design, a Foo Dog logo based off the pitfall mascot of Tenacious Toys! 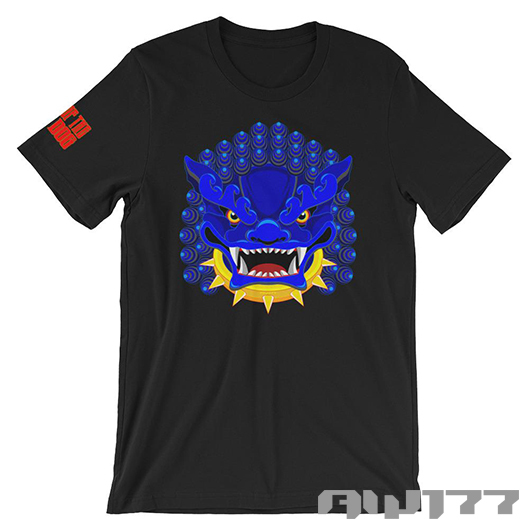 This is the AW177 version of the Tenacious Toys blue dog logo, twisted and hammered into a ferocious Foo Dog, standing guard outside the bodegas of East Harlem and the temples of Flushing, Queens! A timely release during the Year of the Dog, balance and harmony is achieved throughout the city! 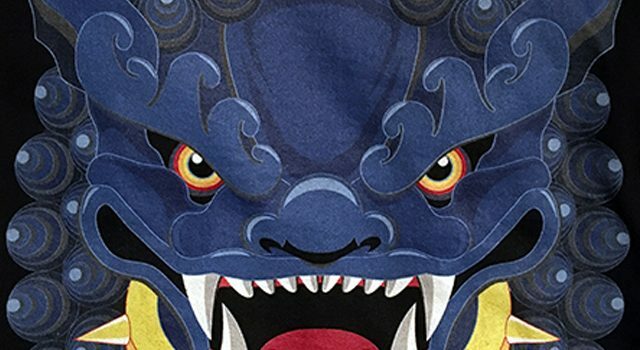 Stand tall and proud with the mighty Foo Dog this year! 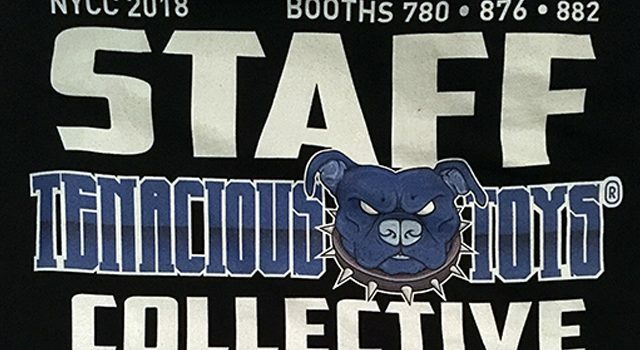 This logo was the official booth t-shirt of the Tenacious Toys Collective who represented at New York Comic Con 2018, booth #780 in The Block! 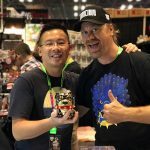 You can grab yourself a shirt (without the NYCC/Tenacious Collective logos on the back AND with a red Year of the Foo Dog logo on the sleeve) by visiting this link and supporting us all: AW177, Tenacious Toys and Outsmart Originals! While there, check out the online store for more great tees by AW177! Not to worry ladies, they’ve got you covered. 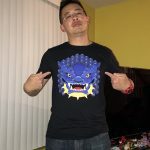 They now have the latest designs on tees made just for you! This Bella + Canvas t-shirt is everything you’ve dreamed of and more. It feels soft and lightweight, with the right amount of stretch. It’s comfortable and flattering for both men and women. I got mine and love it! If you don’t want to take my word for it, ask Benny from Tenacious Toys if he likes his! 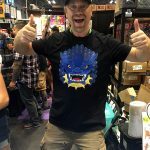 So go and grab yourself a unique t-shirt and support independent artists!!! Thank you!